The world, as we know it, is coming to an end. And no, we’re not talking about the incoming regime here in America (though, more on that later.) That ‘vast wasteland’ (as a former FCC chairman referred to it) known as television is preparing us for the worst with show after show depicting the end of days in one form or another. Art has often reflected our fear of what is happening around us in the real world. A great example is the proliferation of movies featuring giant monsters brought about by nuclear radiation during the 50’s. In the wake of Hiroshima and Nagasaki, and in conjunction with the nuclear arms race between the U.S. and Russia, from Godzilla to Them! 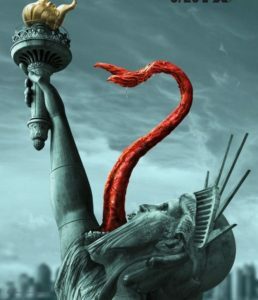 to Attack of the Fifty Foot Woman, filmmakers and moviegoers were fascinated by rampaging creatures that destroyed the very mankind that created them. In more recent years, there’s been a renaissance on the big screen of life in a post-apocalyptic earth, from I Am Legend to Book of Eli, from World War Z to Mad Max: Fury Road. It is on the small screen, however, where a vision of our planet beset by some catastrophic event, is seemingly on every channel. 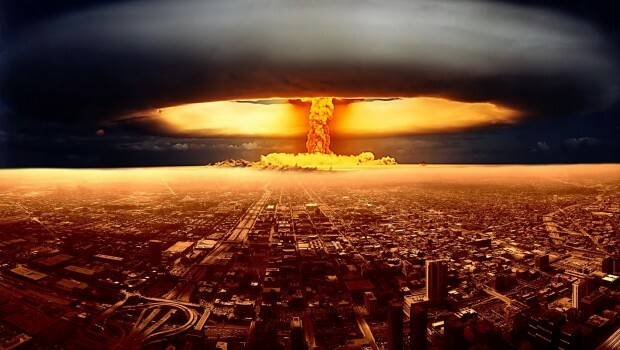 Is this preoccupation with the apocalypse a reflection of our current times, and if so, how? First, let’s look at the wide variety of shows currently on television which portray a future where all does not look bright. 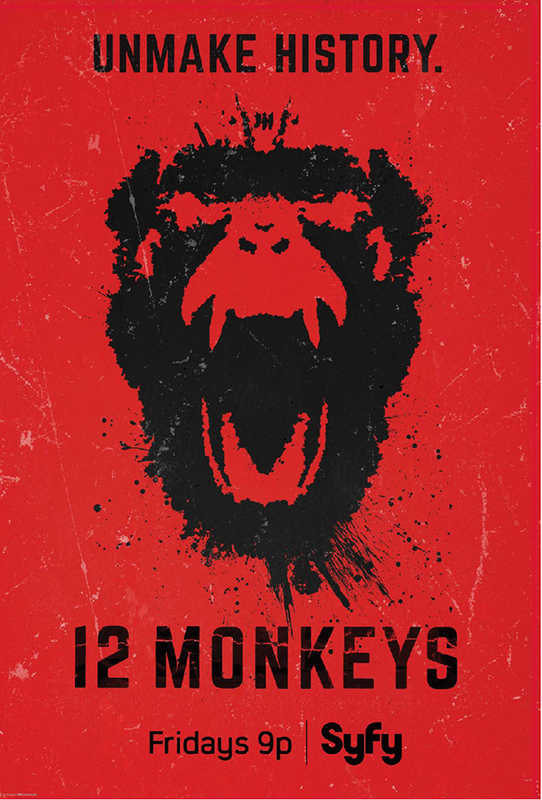 12 Monkeys – It naturally makes sense that the SyFy Network would be home to a number of shows that examine what a future world might look like. 12 Monkeys is based on the Terry Gilliam time travel movie starring Bruce Willis and Brad Pitt. Here, Aaron Stafford (The Hills Have Eyes remake) is James Cole, who travels from the year 2043 to our present day to stop a deadly virus which ultimately wipes out over 90% of the human population. Of course, that proves to be a difficult task as there are those who want this catastrophe to happen. He is joined in his task by his buddy, Ramse (Kirk Acevedo, Oz and Fringe) and a present day virologist, Cassandra (Amanda Schull, Pretty Little Liars, Suits). Together, they travel back and forth through time, sometimes making changes for the better, other times for the worse. 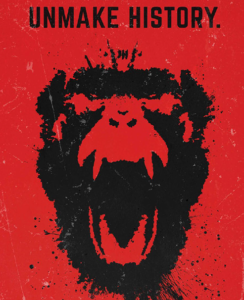 While other current television shows also deal in time travel in one way or another (NBC’s Timeless and the CW’s Frequency), 12 Monkeys is the only one where the bleak future is a given for the entire planet, and that makes the stakes so much higher. 12 Monkeys will return for Season 3 sometime in 2017 on SyFy. 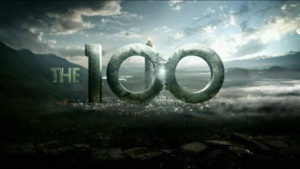 The 100 – The CW is known as the home for genre television with an abundance of superhero and supernatural shows. Deviating from that a bit is The 100, based on the novel series by Kass Morgan. After a nuclear holocaust has destroyed life on Earth, the remnants of humanity survive on a giant space station in orbit around the planet. Decades later, a group of juvenile criminals are sent back to Earth as a test to see if it might be inhabitable. Unbeknownst to them, some life has survived, including warring factions of humans. Can mankind begin again? After a decision last season to kill off an important character was met with tremendous fallout (get it?) from fans, it’ll be interesting to see the response to the show when it returns to the CW for season number 4 beginning on Feb. 1. 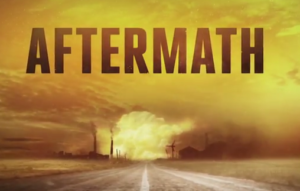 Aftermath is a Canadian show airing on SyFy that begins with the onset of the apocalypse as a series of events, ranging from meteor showers to plagues to earthquakes, have devastating effects. Adding to the mix are a variety of supernatural creatures – skinwalkers, shapeshifters, killer plants and even dragons – basically a little of everything. The show mainly follows one family travelling in their RV and trying to survive each new threat and maintaining hope amidst an uncertain future. As one character states, “the world is probably ending, and you can’t regret what you won’t live to regret.” Unfortunately, the characters won’t live to see another season as the show was not picked up for a season 2. 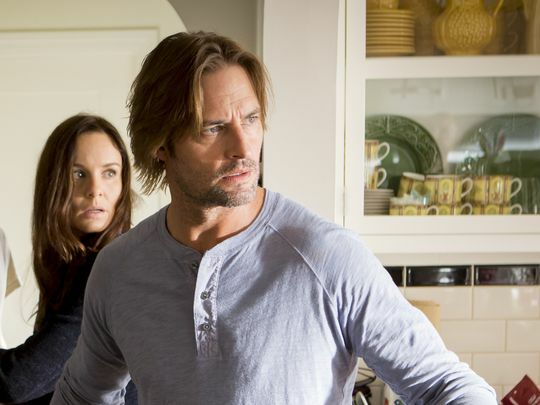 The Colony – The USA Network enters the post-apocalyptic sweepstakes with Colony. 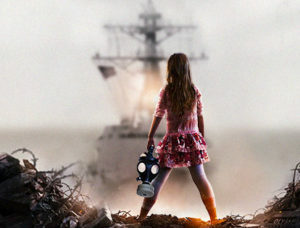 The show comes from the very prolific Carlton Cuse (Lost, Bates Motel) and Ryan J. Condal, and stars Josh Holloway (Lost) and Sarah Wayne Callies (The Walking Dead) as parents struggling to keep their family together and safe during an invasion from unspecified and unidentified visitors from somewhere not of this earth. Employing humans themselves to help enforce their strict control, and building an enormous structure that would give certain people wall-envy, no one knows what the objective of these visitors is. Little by little, layers of mystery are peeled away, and adding to the conflict is that the two leads are aligned with opposing forces, with Josh’ character on the side of the occupation in an attempt to get their son back, and Sarah on the side of the rebellion which is fighting back against this mostly unseen enemy. Season 2 just began with an episode which could have served as the pilot, giving us a glimpse at life just as the incursion begins. Now, as various characters are split up, it will be interesting to see what these hosts’ ultimate plans are for the human race. Designated Survivor – While not dealing with a worldwide threat to humanity, but rather, the aftermath to a devastating attack on American soil, ABC’s freshman series, Designated Survivor, stars Kiefer Sutherland as the U.S. Secretary of Housing and Urban Development, who is thrust into the Presidency when everyone above him in the line of power has been killed. He must adapt to this new position while piecing together the origin of the attack, maintaining order in a reeling nation and dealing with other countries who may have been involved in one way or another. 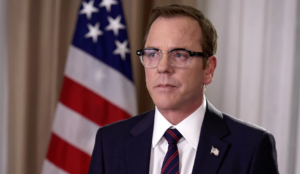 The scariest thing about this show is to think that the real world counterpart currently nominated for this Cabinet position might ever be put in this same situation. Fear the Walking Dead – When there’s room on TV for more zombies, the dead will walk on another. With the enormous success of AMC’s The Walking Dead, it was a no-brainer to create another show centering on cerebellum-eating corpses. With Fear the Walking Dead, the show’s producers were able to start from the beginning and show how society collapses in the wake of a zombie apocalypse. Changing the locale to sunny California with its palm trees and beaches, and examining the breaking down of family units under the strain of this new world, further differentiated Fear from its progenitor. 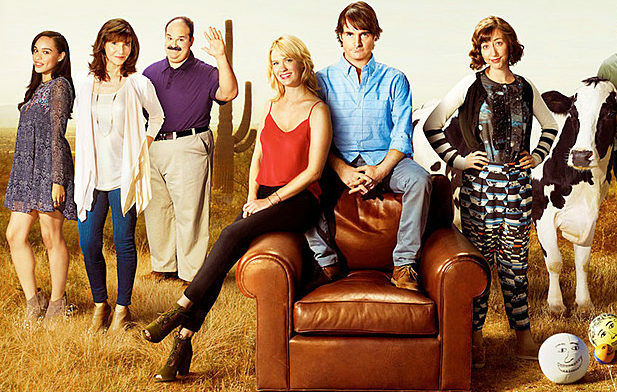 The latter part of season 2 has seen the show take place in Mexico, offering a location and characters not commonly seen on American television. With a standout cast featuring Kim Dickens, Cliff Curtis, Alycia Debman-Carey and breakout star Frank Dillane, Fear will return for season 3 most likely sometime this Spring. The Last Man on Earth – Borrowing the title from the 1964 Vincent Price film based on Richard Matheson’s classic novel, I Am Legend, The Last Man on Earth offers up a comedic take on what life might be like with no people, except for one inept individual played by Will Forte (SNL, MacGruber). In actuality, only the pilot features Will as the last man on earth. Soon, he is joined by a woman (Kristen Schaal), then another (January Jones), followed by several others, making the title a bit of a misnomer. While Forte’s Phil character repeatedly tries to do the right thing, at least for himself, he usually ends up screwing things up for everybody. The show has used some terrific guest stars in a variety of inspired ways, like Jason Sudeikis, Will Ferrell and Jon Hamm. The current season 3 returns to Sunday nights on Fox on March 5th. 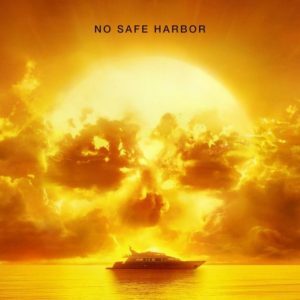 The Last Ship – For a show that deals more with the military aspect of handling the aftermath of a virus that has killed a vast majority of the world’s population, TNT brings us The Last Ship. As the crew of the USS Nathan James, led by their Captain, Tom Chandler (Eric Dane), attempts to find, and then, distribute a cure for the deadly disease, they find themselves up against a variety of opposing forces. Meanwhile, they are also helping to facilitate the restoration of government in an attempt to restore order amidst the chaos. From combat on land to warfare on the seas, the show sometimes resembles a game of Battlefield, with evasive maneuvers and torpedoes launching towards enemy targets. After 3 exciting seasons, the show has already been renewed for two more, the 4th set to begin airing sometime this summer. The Strain – For pure horror, FX has the gloriously gory, The Strain, from the mind of Guillermo del Toro (Hellboy, Pacific Rim). Here, another virus is turning people into vicious, bloodthirsty vampires. These aren’t the charismatic bloodsuckers of Dracula, Twilight or True Blood. No, these are inhuman monsters sporting elongated tongues which they use to attack their victims and spread their cursed plague. Fighting this scourge, and the Master who leads them, is a disparate group of individuals – a CDC scientist, a Nazi hunter, a rat exterminator, a computer hacker and a former gang member. Together, though not always, they try to keep the epidemic at bay at the epicenter in New York City, by studying the plague, while searching for the Master, who has the distasteful ability to change hosts by using wormlike creatures to transfer his essence. The show has some of the best f/x on television, and the most horrific. Especially disturbing, and fascinating, are the gang of child vampires that scurry around like spiders. A 4th and final season will begin airing this summer. 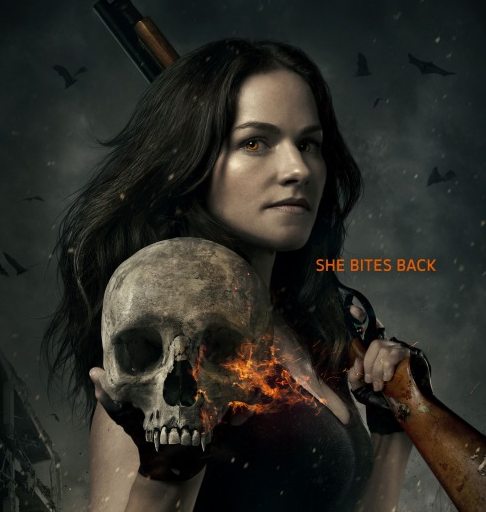 Van Helsing – From SyFy comes another dark and dreary vision of the future, and SyFy’s official synopsis describes the show best: Van Helsing is set in the near future, where vampires have risen and taken control. Vanessa Van Helsing is humanity’s last hope, as her unique blood composition gives her the ability to turn vampires human. With this secret weapon, Vanessa becomes a prime target for the vampires. Van Helsing comes from the producers of Fargo and Hell on Wheels. Acclaimed director/playwright Neil LaBute serves as showrunner. If the name, Van Helsing, rings a bell, it should, as Vanessa is a descendant of the infamous vampire hunter. She is played by Kelly Overton, who was on another vampire show, True Blood, as Rikki. An American-Canadian co-production, the show recently completed its first season, and SyFy has already renewed it for a second, which will air sometime later in 2017. The Walking Dead – No article examining the plethora of post-apocalyptic shows on television would be complete without the biggest of them all, the one whose popularity surely had a hand in the many which followed, yes, the phenomenon that is The Walking Dead. Based on the comic book series of the same name by Robert Kirkman, who serves as executive producer, along with others who’ve changed over the years (Frank Darabont of Shawshank and Green Mile fame developed it. 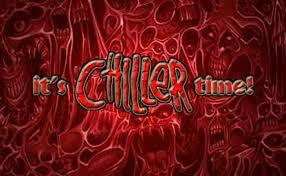 ), the show took what was once a cult subgenre of horror and catapulted it into the mainstream. For those who are as clueless as the undead, aka, ‘walkers,’ on the show, The Walking Dead follows the story of deputy sheriff, Rick Grimes, as he leads his family and a revolving group of survivors through a nightmare landscape where the dead come back to life devoid of any semblance of their former selves, but with one goal, and one goal only, to consume the flesh of the living. As if making your way through a world overrun by such creatures wasn’t bad enough, this calamity has brought out the worst in people, as various groups and individuals prove to be just as deadly and dangerous as the zombies themselves. A running theme throughout the series is that of trying to hold onto your humanity when faced with such dire circumstances, and whether doing so keeps you grounded or gets you killed. We’re midway through season number 7, with no end in sight, and the second half featuring new villain, Negan, and Rick and the gang ready to fight back, is just around the corner on AMC. 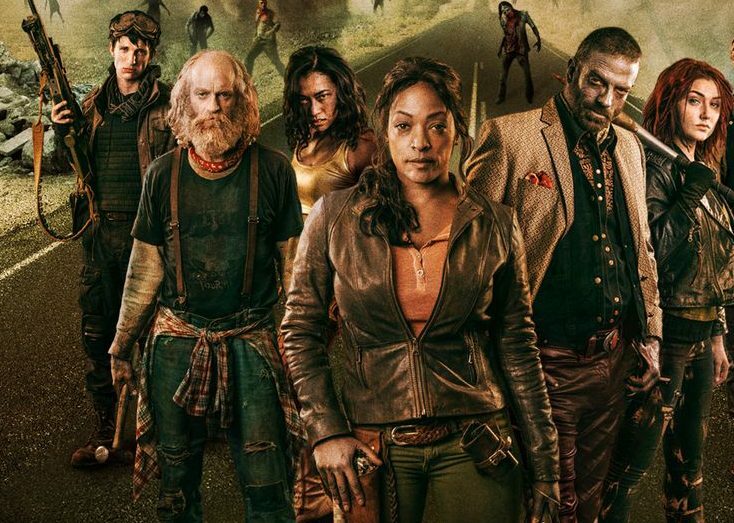 Z Nation – SyFy’s answer to The Walking Dead is the surprisingly, highly entertaining, Z Nation. Like TWD, this show also follows a group of survivors slicing, shooting and slamming their way through a zombie apocalypse, and doesn’t shy away from killing off main characters. What differentiates the show from the one which inspired it is that there is a primary objective other than just surviving – that of getting a man named Murphy, who is immune to the virus, to those who might possibly be able to come up with a cure, though, as the series progresses, Murphy himself has other ideas in mind. Another interesting aspect of the show is its often humorous take on what can be, by its very nature, a bleak and heart-wrenching story at times. It’s pretty much anything goes on Z Nation, from zombabies, to zombie plants, to a zombie wheel of cheese. As ridiculous as some of that sounds, it never detracts from the horror element of the show, and the violence and gore can be quite shocking, and very creative at times. Having recently completed a third season, SyFy has announced that Z Nation will return for season number 4 later in 2017. 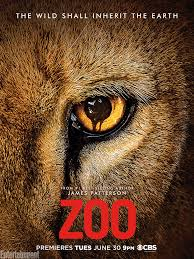 Zoo – Last on our list is the CBS summer series, Zoo, which ponders the what if scenario of a world where all the animals, from normally docile pets to those living in the wild, go on the attack. Reminiscent of the 1977 film, Day of the Animals, starring Christopher George, in Zoo, a team of various scientists, reporters and animal experts race to find the cause of this global epidemic and try to come up with an antidote before all the animals wipe out humanity or humanity wipes out all the animals. Of all the shows mentioned, this is the most scientific-based as basic survival takes a backseat to saving the planet. And while some of the scenarios can get a bit outlandish at times, the show takes it all very seriously, and you just have to go along for the ride. Plus, as badly as mankind has treated our animal friends throughout history, there’s some satisfaction in seeing creatures both great and small take out their revenge against the deadliest species of all – man. CBS will begin airing season 3 this summer. In addition to all the above mentioned shows which deal with life on earth after some cataclysmic event, there are a number of shows where the protagonists are fighting to stave off such a scenario from ever happening. Ash vs Evil Dead, on Starz, brings back our favorite chainsaw-armed supermarket clerk, played by the one and only Bruce Campbell, as he battles Deadites intent on taking over the world. Fox’ The Exorcist continues the story of William Friedkin’s classic 1973 film based on the late William Peter Blatty’s novel, where evil attempts to rise to power through the body and soul of one young girl. AMC’s Preacher features an unholy presence and one man of God whose life becomes intertwined with it. Fox also has Sleepy Hollow, where the legendary Ichabod Crane awakes in the present and must battle demons and horseman of the apocalypse, now beginning its 4th season, and switching locales to our nation’s capital. And the longest running genre show on television, Supernatural – now in it 12th season! – features the Winchester brothers in their neverending quest to rid the world of demons, vampires and other evil entities, and prevent the Devil himself from creating a hell on earth. So, what has given rise to all these pessimistic views of our future? Certainly, the immense popularity of one show, The Walking Dead, has opened the door for so many others to follow. But as we mentioned at the top of this piece, our movies and television shows often reflect the times, and despite all the gains we’ve achieved, we are living on the precipice of what could be very dark times for humanity, the planet and all the life it holds. If all the apparent signs that exist continue unabated, we may be on the cusp of what is being termed, the Sixth Extinction, where multitudes of species decline to the point to where they vanish altogether. Everything from bees, bats, butterflies and birds (what I like to call the 4 B’s) to iconic animals like elephants, rhinos, lions, cheetahs and giraffes, to little-known creatures like the pangolin, to sea creatures like sharks, rays and whales to the smallest amphibians – their numbers are dwindling at a disconcertingly rapid pace. And while a world without elephants and giraffes is a much lesser world in and of itself, a world without bees, which pollinate our food, and bats, which consume massive amounts of insects which carry disease, affect our very existence. Much of the decline of our biodiversity can be attributed directly to man’s involvement, from hunting and poaching, to poisoning and polluting our atmosphere and waterways, to the eradication of habitat for wildlife by development, farming and grazing. As man continues his destructive ways in wreaking havoc on the environment, the very real issue of climate change has come to the forefront. 97% of scientists around the world agree that this is a pressing concern (the 3% of dissenters no doubt employed by the fossil fuel industry), and that we have to act yesterday to prevent this from becoming a full-blown catastrophic event. The burning of fossil fuels, the resulting carbon released into the atmosphere and the methane created by the raising of livestock to feed an ever increasing human population, are heating up the planet at rates previously unseen in recorded history. As temperatures rise, superstorms increase, polar ice caps melt and sea levels rise, low lying cities from Venice to New Orleans, and countries, from Bangladesh to Sierra Leone are most at risk. Entire island nations, like Haiti and the Maldives, could be wiped completely off the map, becoming modern day Atlantises. While the recent Paris Agreement, signed by basically every country in the world, including the two main contributors to climate change, the U.S. and China, gives us hope that the world can come together to combat this threat, there are looming changes on the horizon which could undermine any optimism and further send us down a spiral of no return. Its not a stretch to worry that the incoming regime here in the U.S. poses a real danger to our environment and the entire planet. After a period that saw more national monuments created by Pres. Obama, over half a billion acres of land and sea, than any president in U.S. history (incidentally, in their 12 years, Reagan and Bush, Sr. created zero), it’s difficult to see any more land or water protected in the foreseeable future. Combined with a Republican Congress hell-bent on rolling back or eradicating environmental regulations and agencies meant to safeguard our air, water, land and wildlife, this new administration, with its anti-environment, pro-fossil fuel Cabinet choices (the head of Exxon for Secretary of State, anti-EPA guy to head the EPA?) does not bode well. Republicans have been trying for years to weaken or outright eliminate the Endangered Species Act, which has been hugely successful in saving everything from bison to gray whales to whooping cranes to California condors. And now this new President (only in America can losers, by 3 million votes, ascend to the top), who ran a campaign on hate and divisiveness, has threatened to pull out of the Paris Agreement, ramp up coal production and repeal countless regulations which protect us and the planet in favor of shortsighted, greedy fossil fuel, fracking and mining industries. (Fracking alone has been directly linked to a rise in seismic activity.) What message does this send to the world, that we are in it only for ourselves, and for the short term at that? In addition to the lack of concern being shown for the environment, this ill-equipped, in both experience and intelligence, new ‘leader’ of the free world now has access to nuclear weapons, something he has shown an alarming interest in. This nightmare reality really does sound like the potential plot of a show that could fit right into all the aforementioned ones above – an evil, narcissistic Antichrist figure being given power by the very people who would believe in and fear such an entity. While all this does sound somewhat pessimistic to say the least, there is the hope that the true spirit of America, and the world, will rise above this. We’ve come too far and made too much progress to back down now. The future of our children, our grandchildren, and theirs to follow, as well as the future of the planet and all of its inhabitants, are at stake. A post-apocalyptic future doesn’t have to be imminent or even inevitable. We can act decisively and determinedly for the benefit of all, not just the few. Let the bleak visions of tomorrow not be our eventual existence, but instead serve as warning signs for events which we can prevent. While a planet earth devoid of life is a scary proposition, it does make for great entertainment. We don’t have to imagine a future with a desolate world landscape – it’s on the television every day on our favorite shows. It’s up to us to keep it on the small screen where it belongs. I see through you, Brian, you rascal, you. The great reviews you did on these apocalyptic shows was an appropriate launch-point to reflect on the dark times we are truly entering in reality. It makes me wonder what kind of shows have yet to be created in the climate of this new Reich, uh… I mean regime, uh… I mean administration. Will we return to the cold war era shows of the 60’s, like Mission: Impossible, Man From U.N.C.L.E. and Get Smart? Or shows similar to the TV films and mini-series of the 80’s like The Day After, Threads and Testament? Or, on the other hand, might there be more shows of hope, with more positive messages, like Star Trek, Cosmos and The Walking Dead. Did I just say The Walking Dead?! Yes. I include TWD simply because the show, the characters, humanity still persists in a dark and tragic scenario. While in the midst of such terrible events, our heroes, suffer though they do, prevail. But not without a fight. And another fight. And another. An inspiration and example of the human spirit that we will have to bring out in ourselves in the face of what is to come for us in the real world. We may not be battling zombies, per se, but it will be a fight against an infection of ignorance, bigotry, intolerance, narcissism, plutocracy and primitive backwards-thinking. Like Rick and his group, we will have to band together to fight our own Negan and his hoards. All I’m trying to say is, aside from the great reviews of the shows you listed above, I agree with you, Brian. Wholeheartedly. I guess we’ll see what we’re really made of in the coming months and years… if we’re all still here. Hey, it’s two years later, and while some of the shows listed above aren’t around anymore, we still are, so there’s that. And you might even say we’ve made some progress and are fighting back. There’s a resilience to the human spirit and an incredible will to survive by mankind, especially when faced with extraordinary obstacles. We also possess a strong desire for freedom, to live our lives in such a way that’s not constrained or impeded by oppressive governments, devastating diseases or calamitous natural disasters. As long as there exists the very real potential for threats to our way of life or even survival as a species, there will be television shows that explore such scenarios, or ones a bit more fantastical, like flesh-eating, mutated humans or invasions by alien races. Your words are missed now more than ever, my friend.